Studio Sunday is back from holiday with a Christmas gift to share. 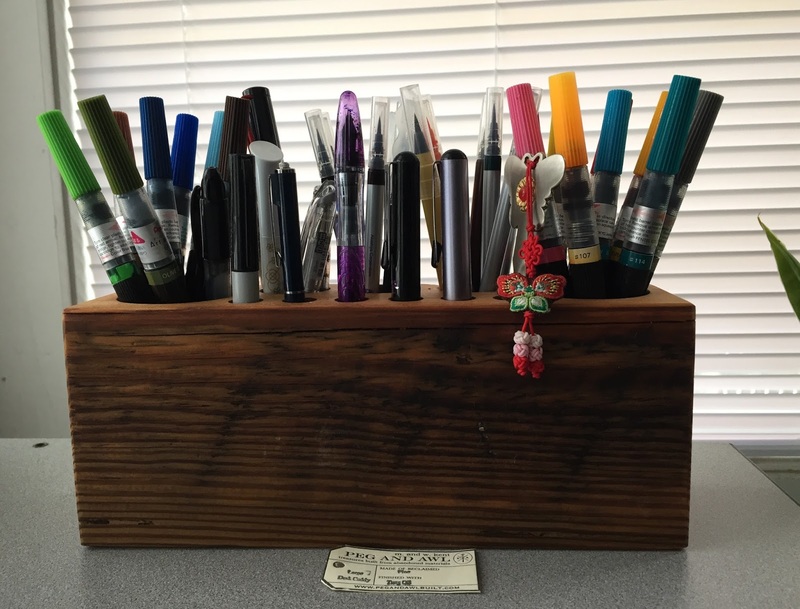 I received this lovely pen holder made of reclaimed pine by Peg & Awl from my friend Cathy. 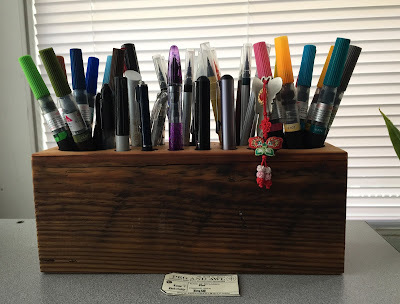 I had been keeping my pens and markers sorted by type in mugs and jars, first on my desk, and then on a shelf when I wanted a less busy desk. I've collected my favorites and put them in this holder on my desk. I do like having them closer by. Also included is a paper opener from my 2007 trip to Korea. The three different sized holes make it possible to sort them into some kind of order. I love it!